Remember to shift your bike while keeping a higher cadence in order to prevent dropping your chain. Most triathletes spend the majority of their training hours on the three disciplines of the sport; few spend sufficient time practicing the actual mechanics of transitions and preparing for the subsequent segment while still competing in either the swim or bike portion. 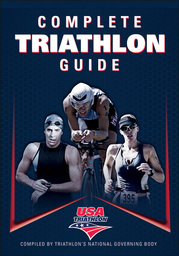 USA Triathlon, the national governing body for the sport of triathlon in the United States, offers readers authoritative advice from the sport’s top triathletes and coaches, including Joe Friel, George Dallam, and Sage Rountree. Complete Triathlon Guide covers a wide range of topics: training, technique, competitive strategies, health, and nutrition.